Hey there Peeps! Still workin away on Christmasy projects. Hard to believe it’s only 3 weeks away. 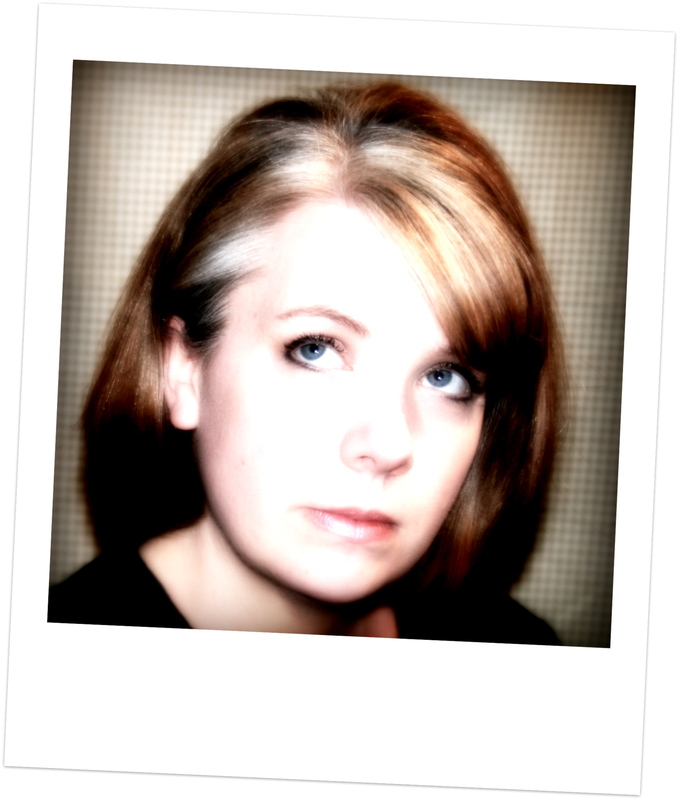 Today I’m sharing some retro inspired tags…they are tooo fun. 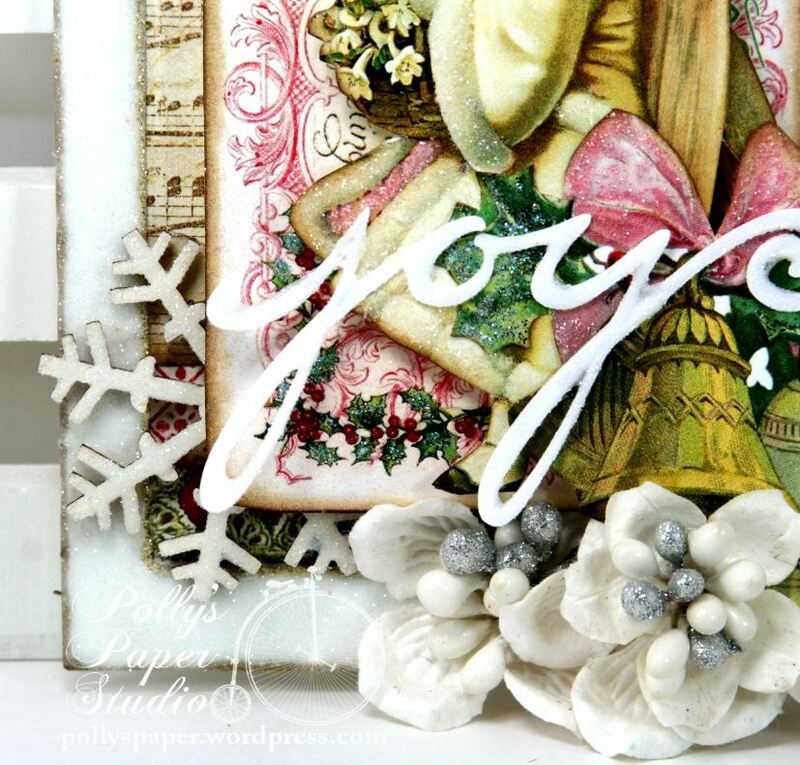 I’m using the Creating with Retro Christmas CD from Crafty Secrets. Snowflake on Red Satin Trim and Ivory Burlap String and Sweetheart Blossoms from Really Reasonable Ribbon and a whole kit and kaboodle of jazzy little retro inspired embellishments like tinsel trim, felt candies, printed clothespins, painted bells and snowflakes. Hey there Paper Peeps! Just a quick post today to share a lovely nature themed winter birds Christmas card. I’m using a sweet postcard image with lovely birds on an evergreen branch. Don’t they just make ya feel all warm and cozy? 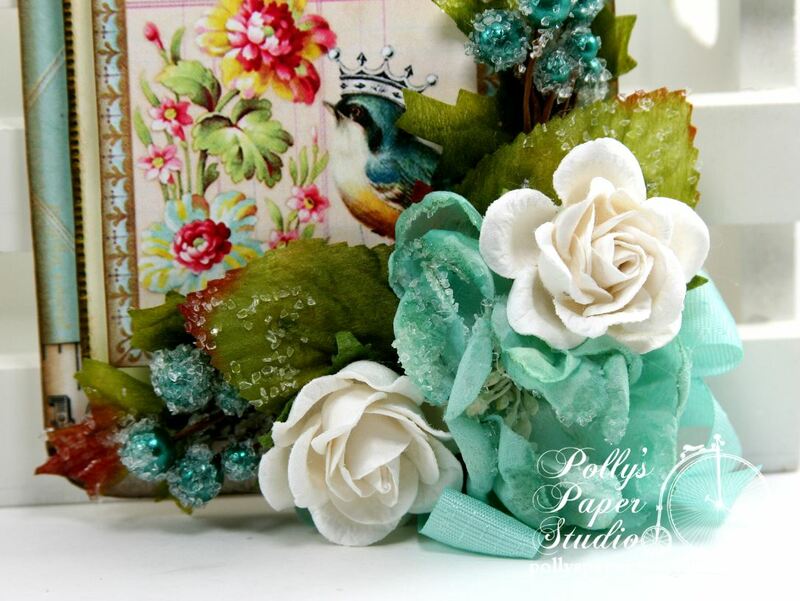 I choose neutral colored background papers to give this card a more natural feel. All of these layers are very well inked to keep them from getting muddled. I’m using a combination of Petaloo and Really Reasonable Ribbon Flowers to create this lovely arrangement. 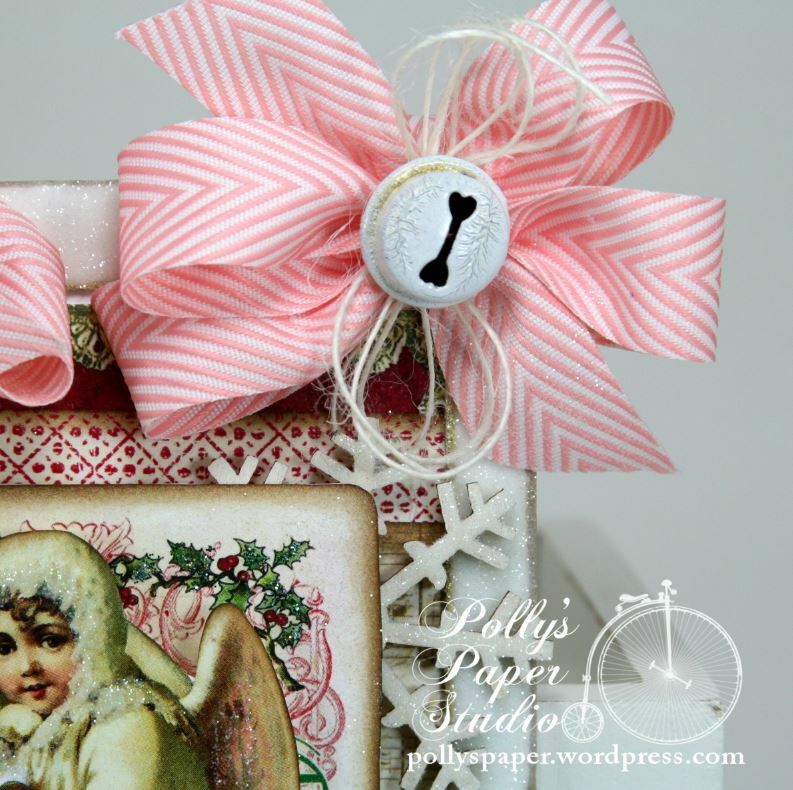 I trimmed a teeny weeny image out and added it to this sweet little silver charm then add a nice thick layer of Glossy Accents to create a perfectly coordinated charm then added it to the card with a twine bow , painted jingle bell and itty bitty flowers. 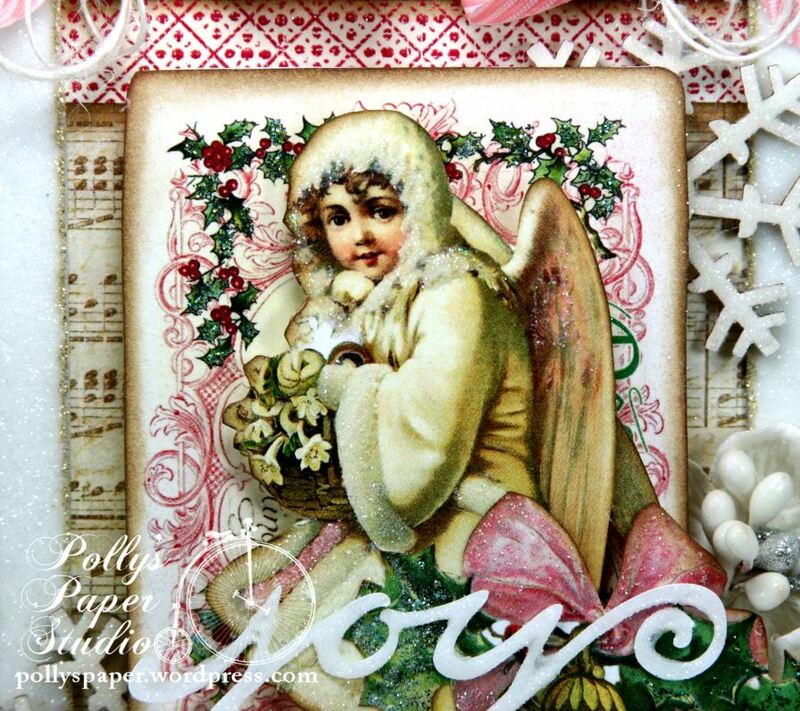 Crafty Secrets Supplies~ Creating With Vintage Christmas CD, Creating with Vintage Patterns CD. Really Reasonable Ribbon Supplies~Chevron Striped Twill in Champagne, Antique Gold Burlap String, Red Gypsophila, and White Open Roses. Hey there Peeps! It’s time again for another fun Linky Party with Crafty Secrets! The theme for this event it Sugar Plum Fairy. Isn’t that dreamy???? This is another “Anything But a Card” challenge. Christmas gifts, banners, mini albums, canvases, home décor, stockings…celebrate the Season with anything BUT a card! You should be coming to me for our dear Miss Kathy…if not…hop on over there first so you can start at the beginning. I created a sweet and softly colored Christmas wall hanging with lot’s of glittery accents, flowers, jingle bells and all sorts of yummy trimmings from Really Reasonable Ribbon. 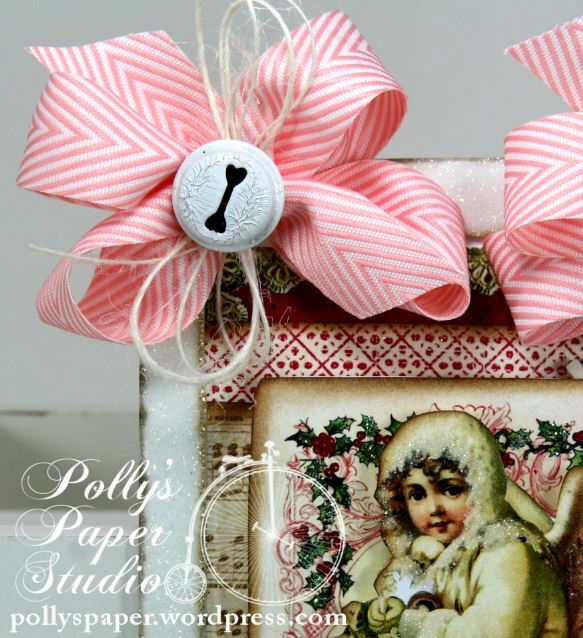 I’m also using the Creating with Vintage Christmas CD and the Creating with Vintage Patterns CD from Crafty Secrets. 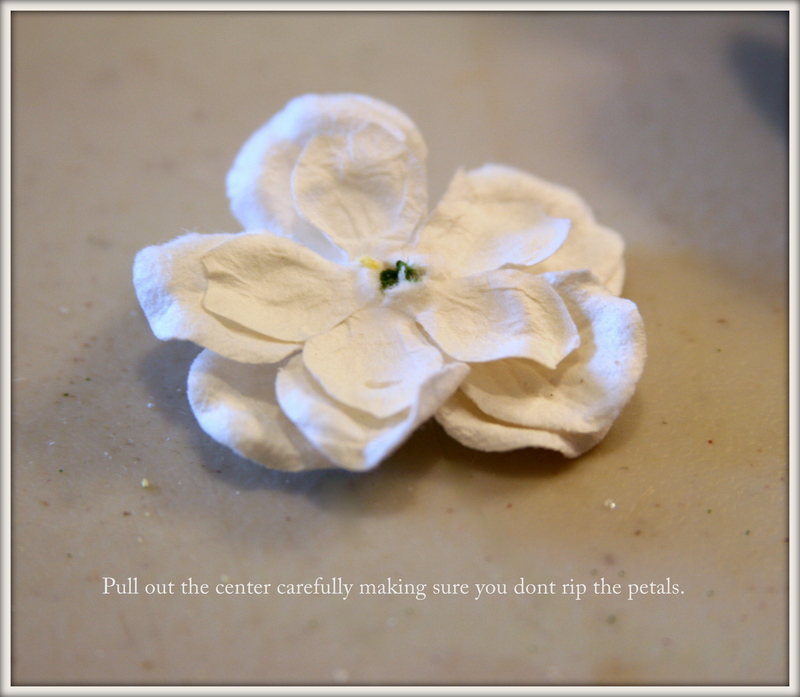 Please enjoy a super easy tutorial on how I customized the flowers for this wall hanging…. Other supplies from Really Reasonable Ribbon~Chevron Striped Twill in Pink and White Magnolias. Hey there Peeps! 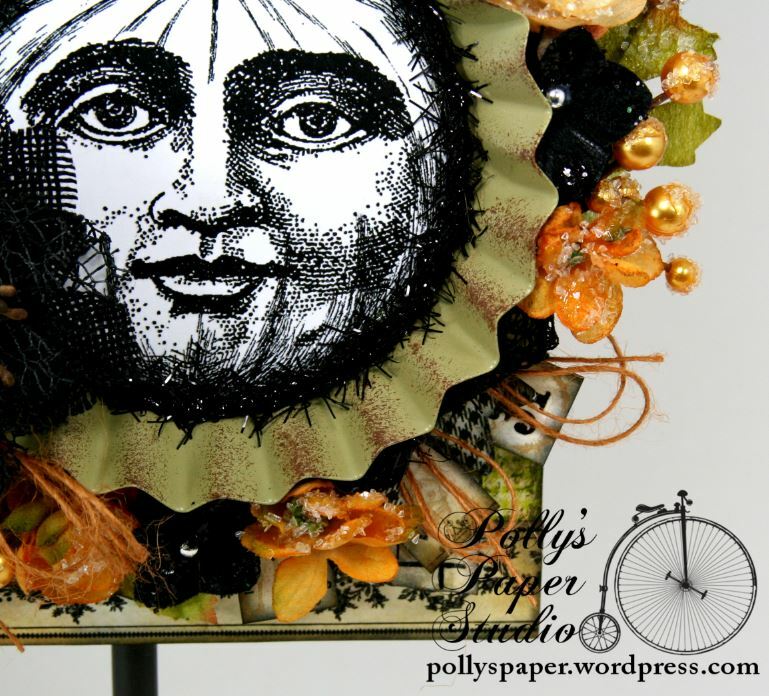 Time again for another fun Linky Party with the Designers at Crafty Secrets! Theme: Give Thanks with a Grateful Heart! This month we are focusing on our blessings. You can share Thanksgiving table decor, Place Cards, Wall Hangings, Thank You Notes, Hostess Gifts, Gratitude Journals, Layouts, Mixed Media Canvases…anything that has to do with counting our blessings, showing gratitude and being thankful. You should be coming to me from Diane’s Blog. I created a Thankful Birds Wall Hanging using Birds and Blossoms Creative Scraps, Creating With Vintage Patterns CD. 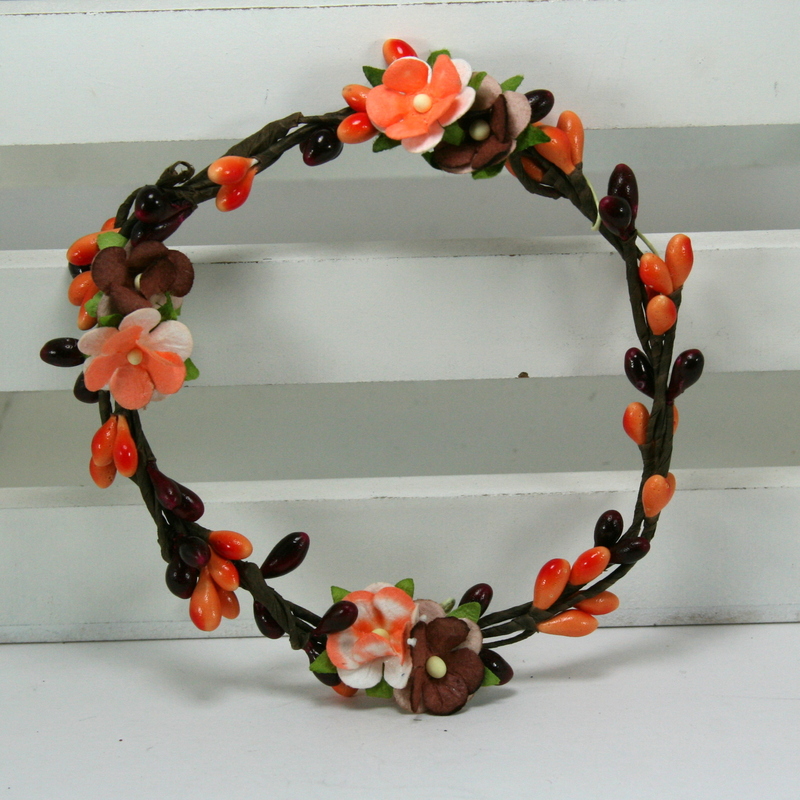 I’m also using trims and flowers from Really Reasonable Ribbon~Canvas Color Band Ribbon in Brown, Burlap String in Brown, and Sweetheart Blossoms. 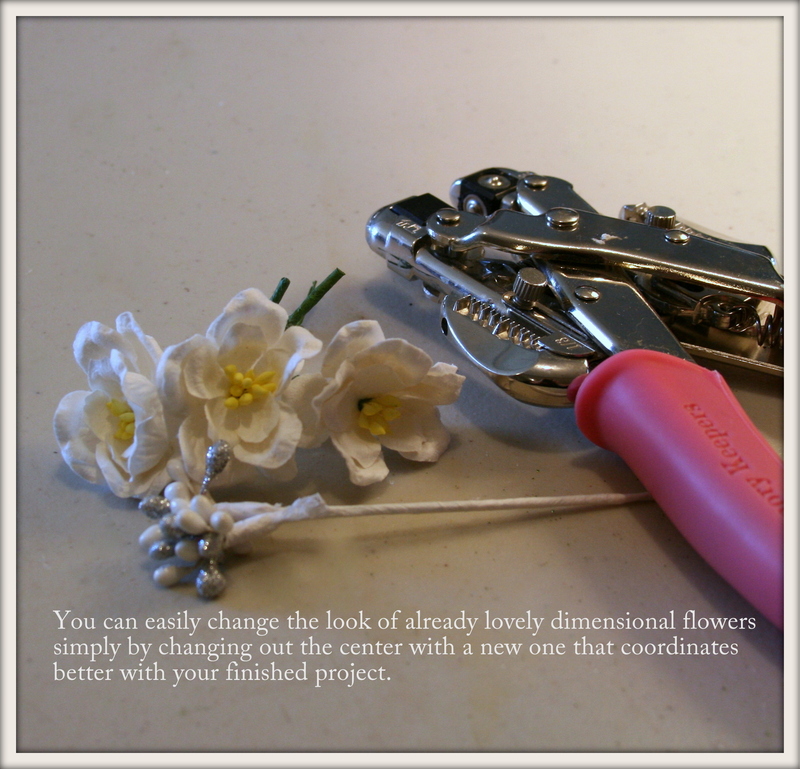 I wanted to show you how I created the wreath…. 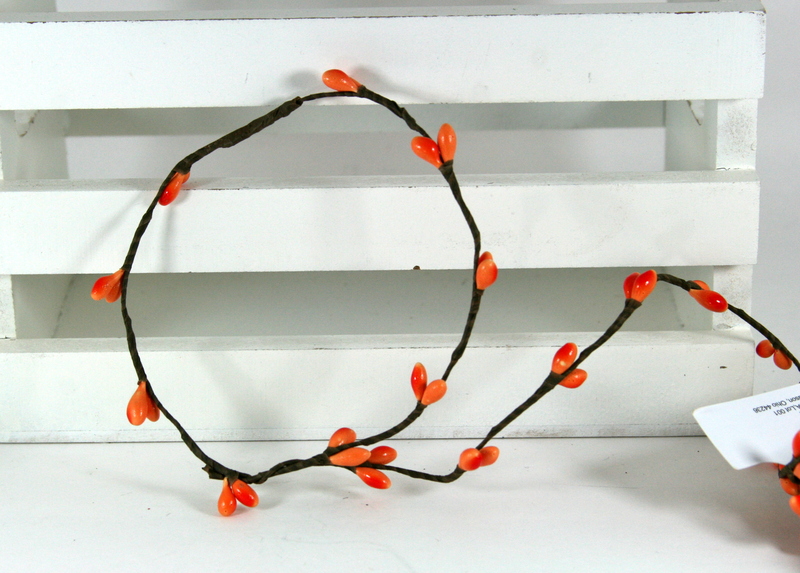 I started with some wired berry garland from the floral dept at the craft store. 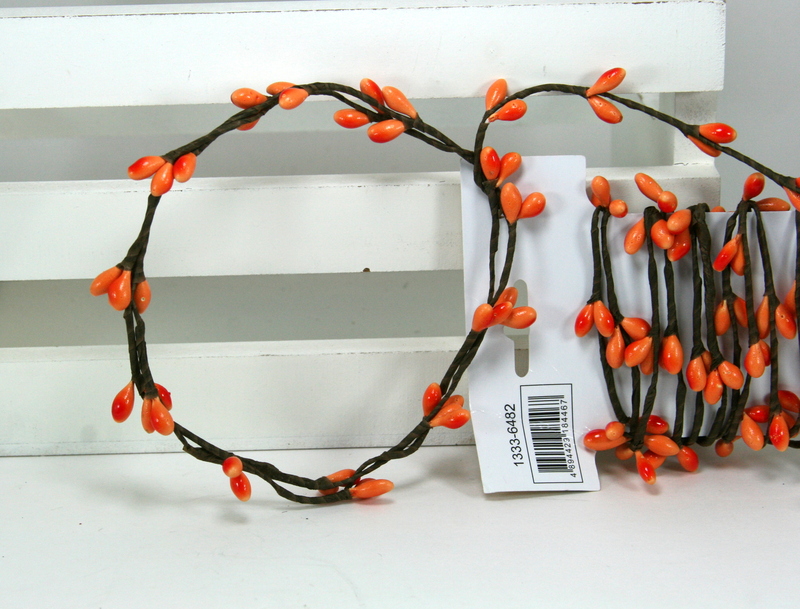 I’m not really exactly sure what it’s supposed to be called as it’s just labeled as accessory. Anyhoo…I got 2 colors of whatever it is and set to work. I started with the light colored berries and made myself a good sized loop. Enough to get the packaging trough easily while I worked. Then I wrapped it around again to start filling it in. Remember it’s wired so you can shape it after you get all the layers done. 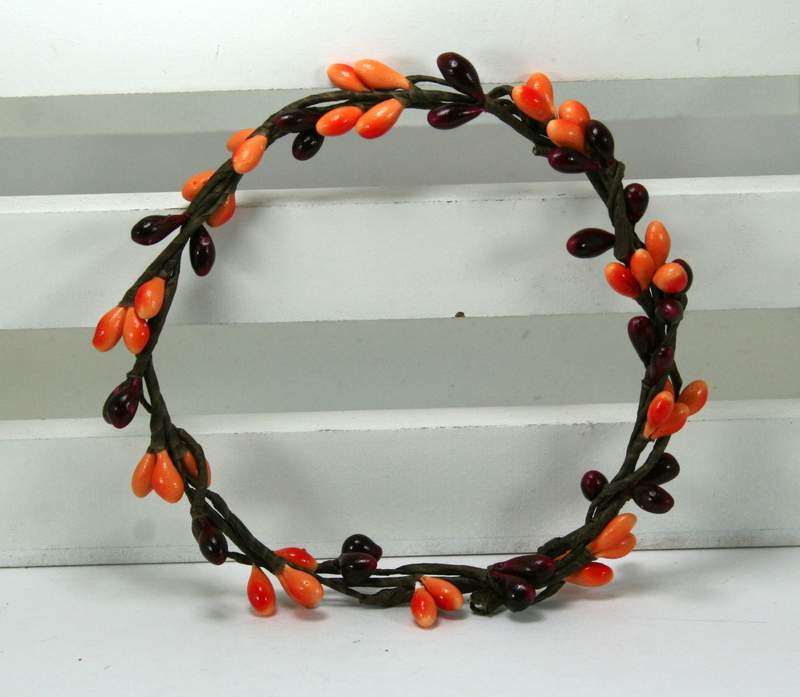 Now add the darker colored berry and offset it a bit so all the berries won’t get bunched up together. It’s pretty already but I added some Sweetheart Blossoms to it. My natural instinct with flowers is to glue on as many as will fit….but for this I liked a bit of the wreath base showing so less is more. But only this time!!!!! 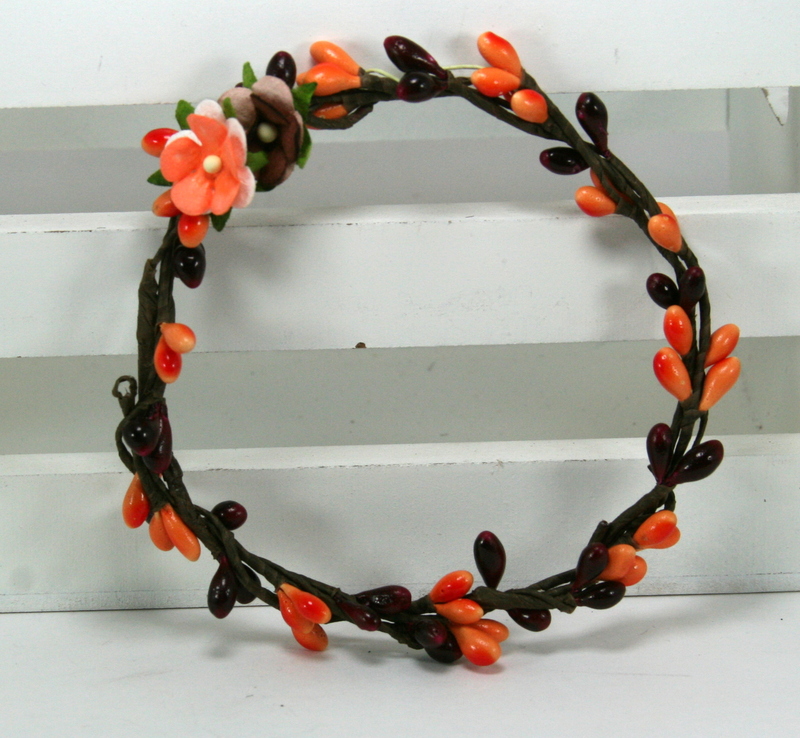 For the finished wreath I added 4 orange and 4 brown. Then made myself stop however the voice in my head told me not to lol. Hey there Paper Peeps. 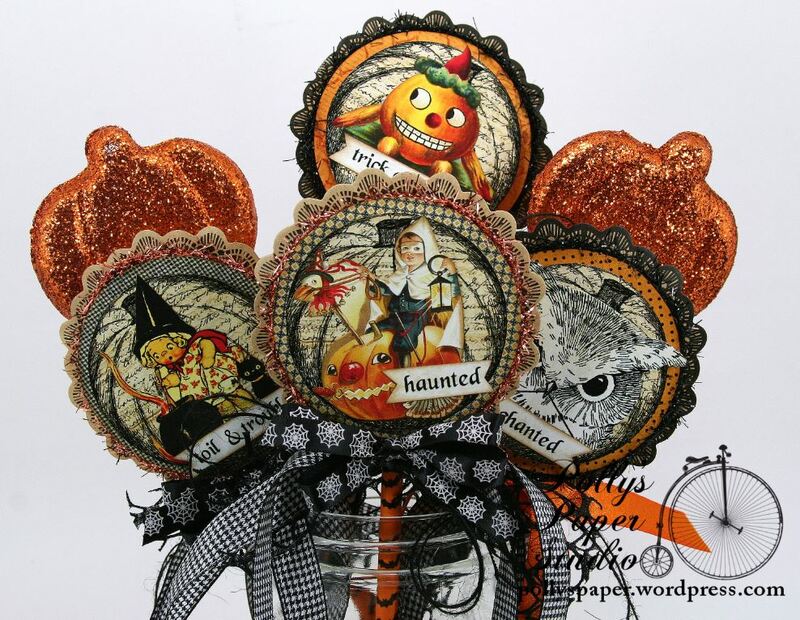 Dropping in on this chilly Fall day to share some vintagy Halloween wands created with fun Trims from Really Reasonable Ribbon for the new Challenge Halloween with Ribbon, printed papers and images from Crafty Secrets. 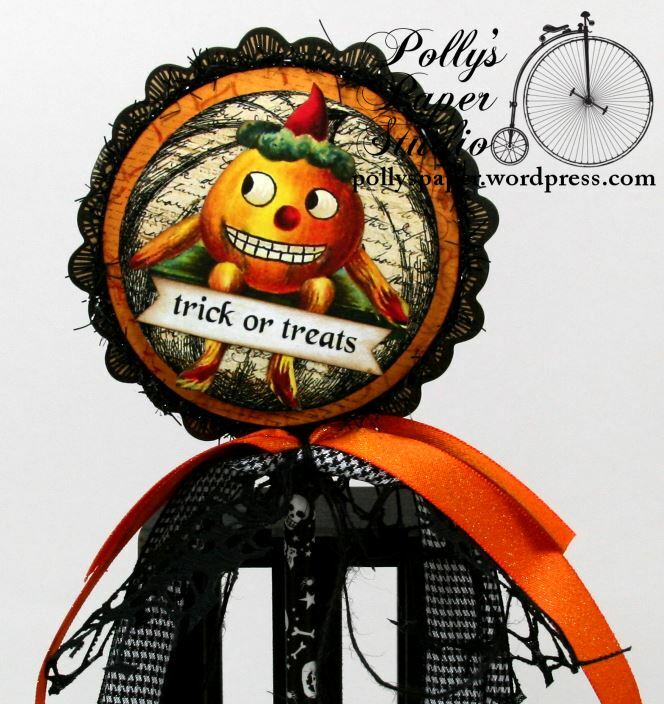 Here’s a quick list of ribbon trims… Black and White Houndstooth, Spider Webs on Black Satin, Black Webbing, Tangerine Shimmer, Black Burlap String. 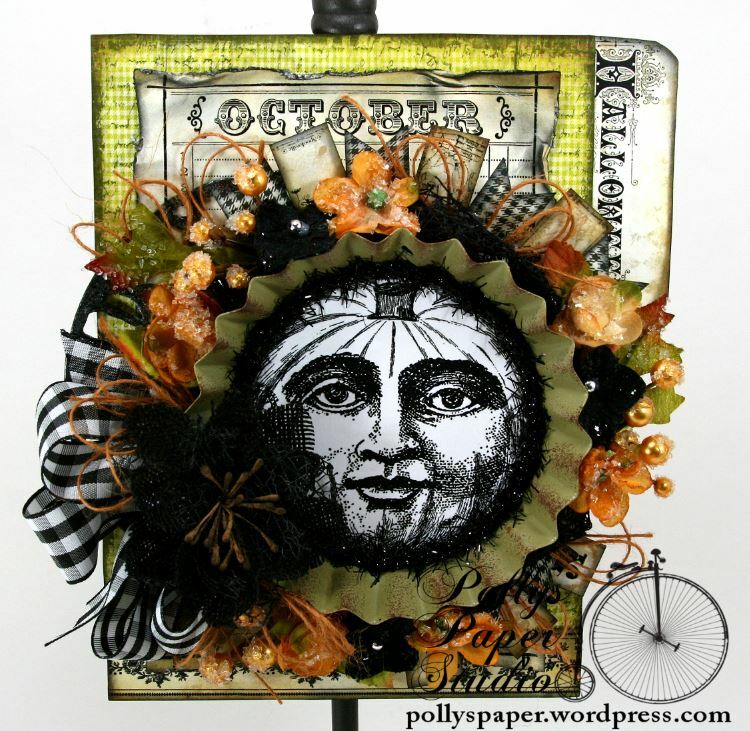 I used the Crafty Secrets Creating with Vintage Halloween CD printable papers and images. 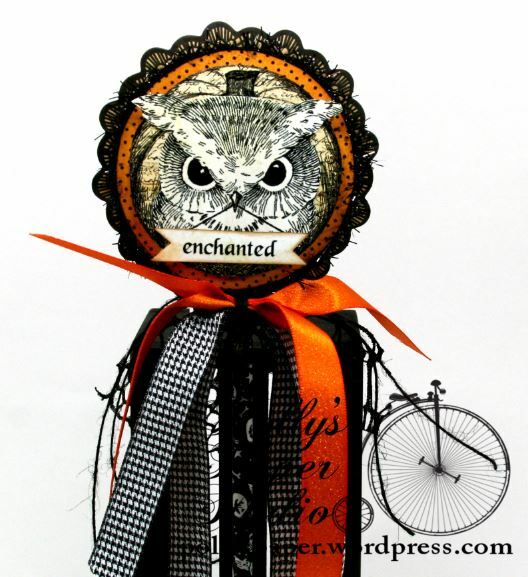 Now it’s your turn to create something Halloweeny with Ribbon and link up with us to play along at Really Reasonable Ribbon Challenge. Hey there Peeps! 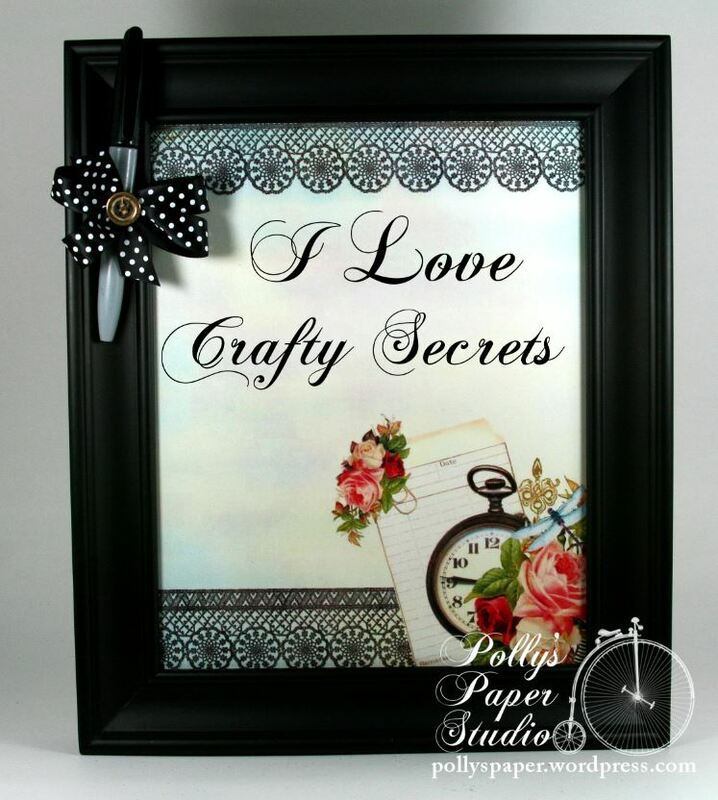 Can you believe it’s time again for another fun Linky Party with Crafty Secrets? Seems like time just flies this close to back to school. Our theme for September is Halloween with an optional Back to School theme. Create a project with tutorial for either of these events. Make a wall hanging, home decor, teacher appreciation gift, homework memo pad, bulletin board, party invite or decoration, decorated box, treat bag, school planner, goody tin or decorated pumpkin. 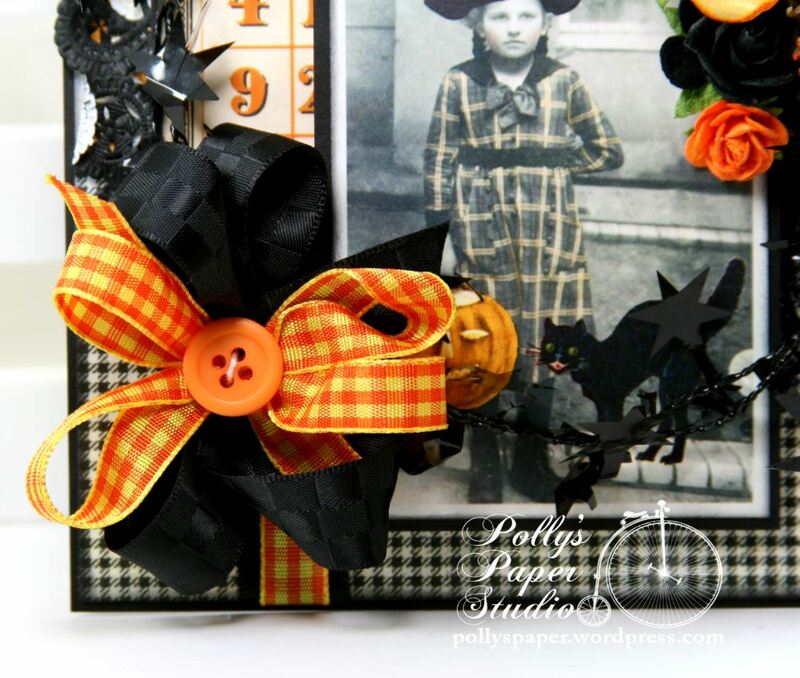 I created a card using the Creating with Vintage Halloween CD. So many great papers and images. 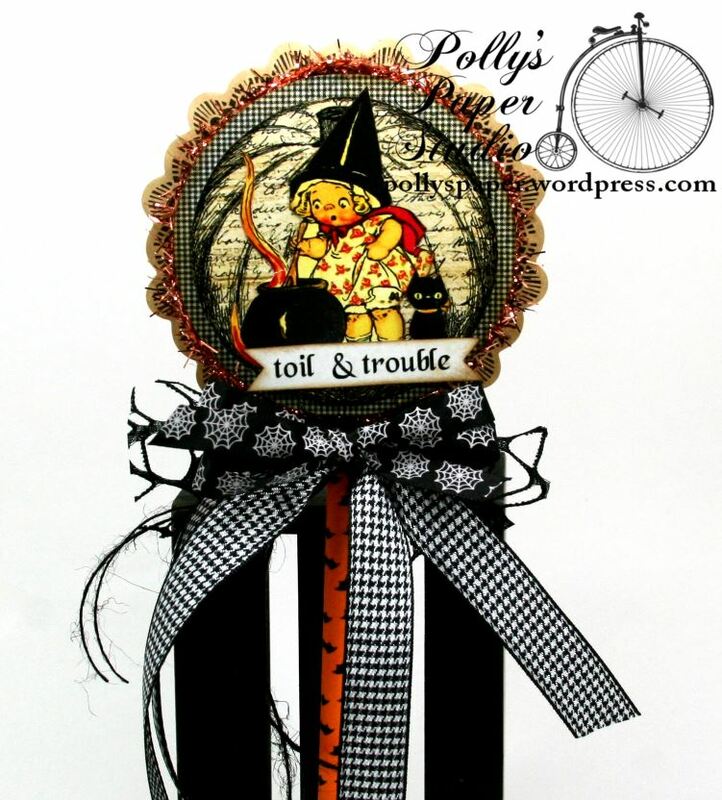 These scrumptious ribbon trims are from the Haunted Halloween Mix Ribbon Club Assortment from Really Reasonable Ribbon. 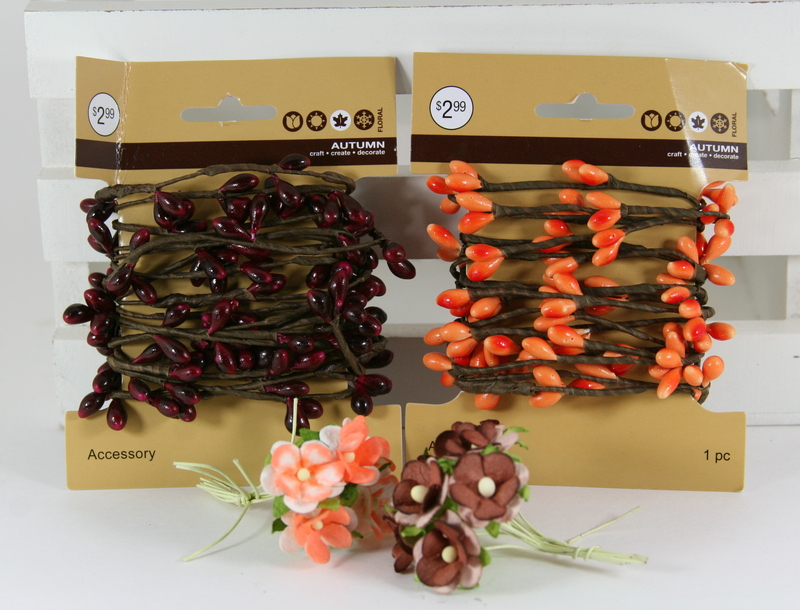 You need all these ribbons..trust me…I’ve used them all already..I won’t have any leftovers of this kit! 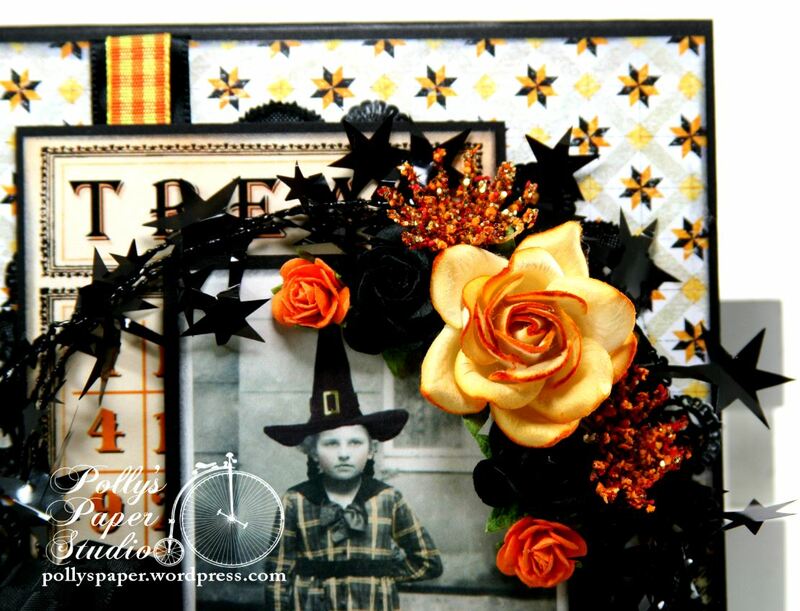 I created a little wreath by winding into a loop some fun Halloween star garland and topped it with Mulberry Cottage Roses , Open Roses and larger Open Roses. I added a bit of sparkle with some glittery orange embellishments. 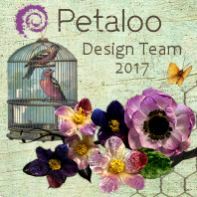 Okay now you gotta hop on over and check out the other project created by the teamies…they are just fabulous! Crafty Secrets Linky Party. Hey there Paper Peeps! 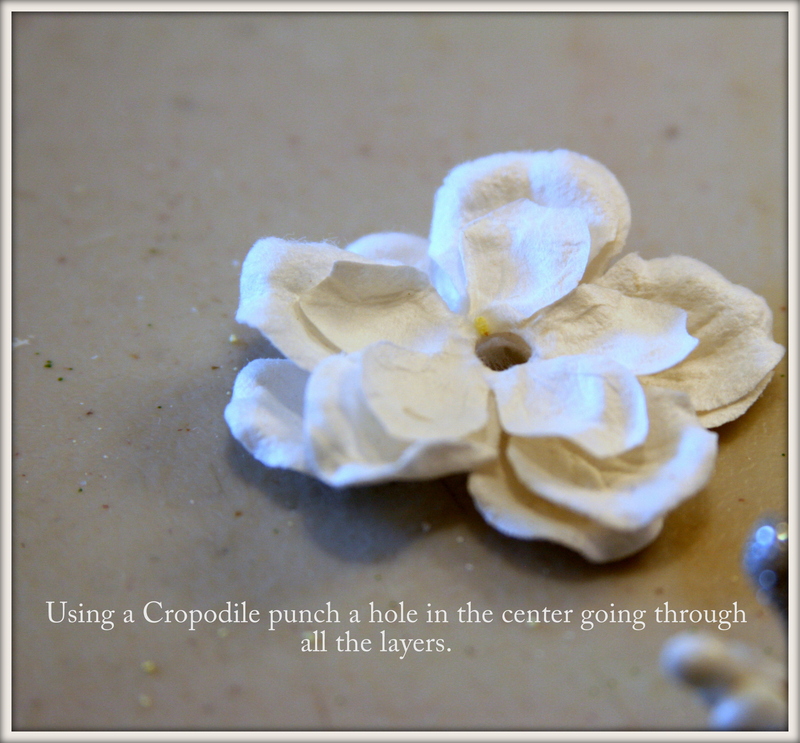 I’m dropping in today to share a project I created with printable paper and images from Crafty Secrets. 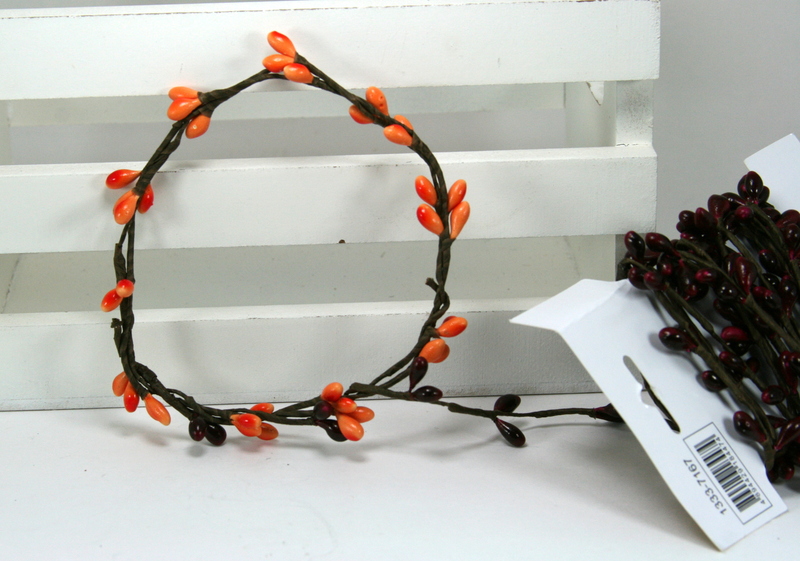 I love a tag..and if the tag has a bird…and if the bird has a crown…well how can it get any better? Easy..top it with beautiful flowers and ribbon trim. 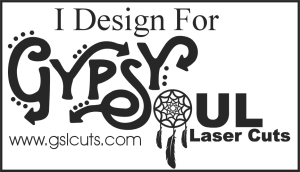 I printed the large tag image….then layered it on a 110lb cardstock base so it would support the bulky flowers and trim. Gorgeous White Roses and Delicate Stitched Satin Aqua Ribbon from Really Reasonable Ribbon and sugared blooms from Petaloo are perfect for this vintagy tag . I added an eyelet so the twine wouldn’t pull through. 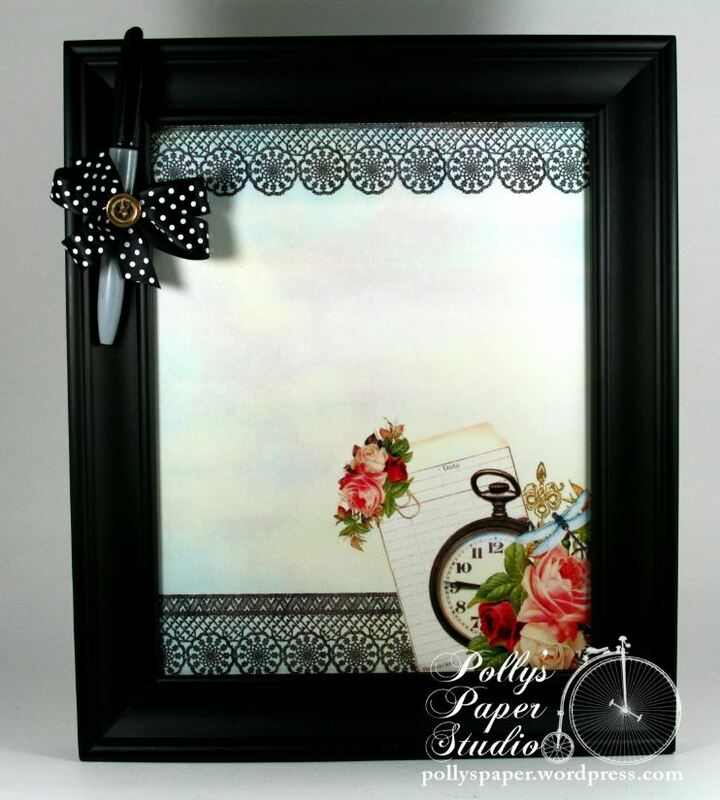 The acrylic film ribbon from Tim Holtz if topped off with coordinating buttons. There are lots of foam spacers between the layers giving this tag loads of dimension. 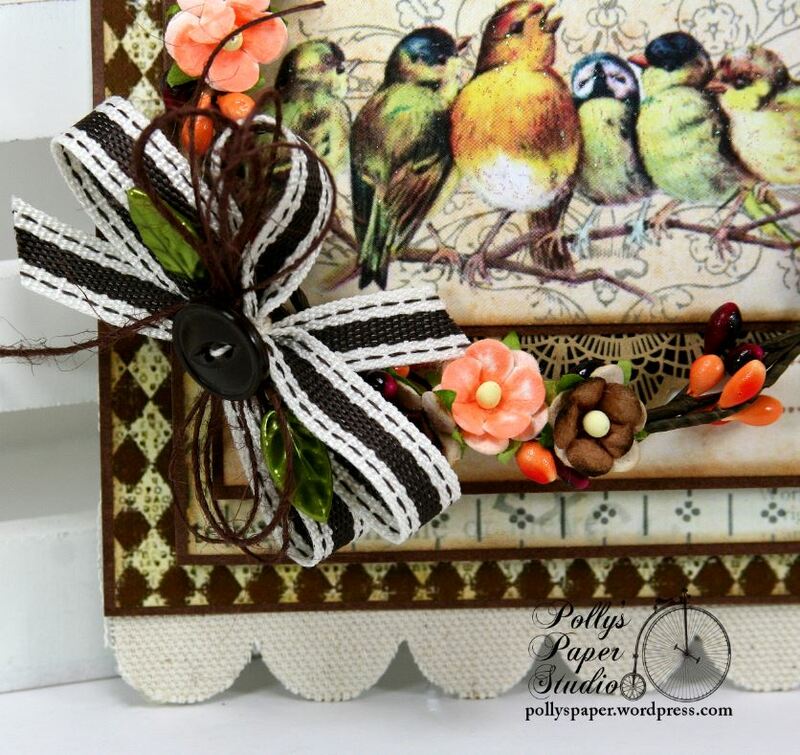 Crafty Secrets Supplies….Creating with Vintage Patterns, Digital Birds and Blossoms printables, Chicken Farm Paper. Hey there Paper Peeps. 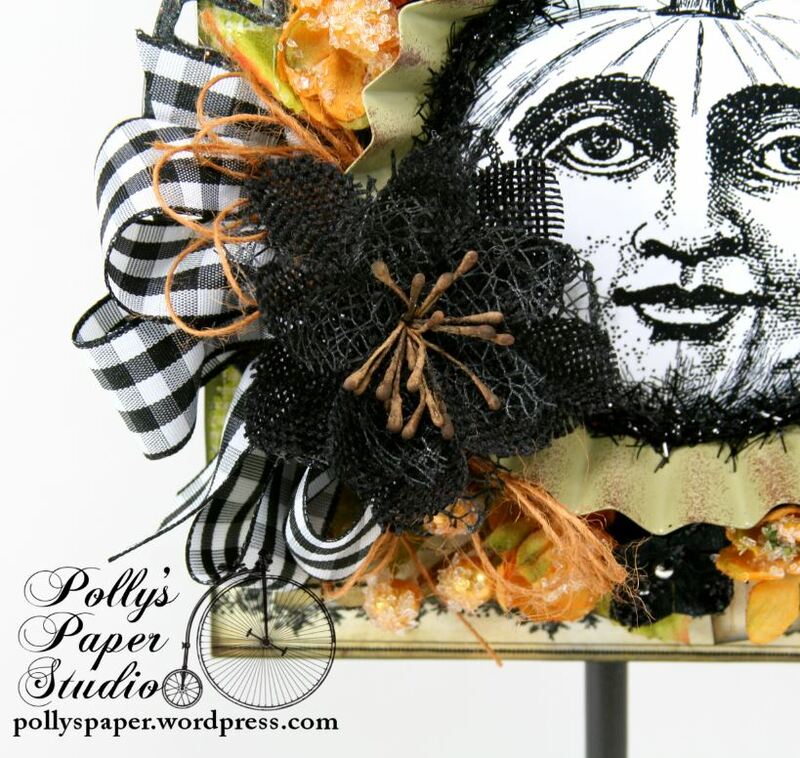 Time again for another fun Linky Party with the Design Team from Crafty Secrets. 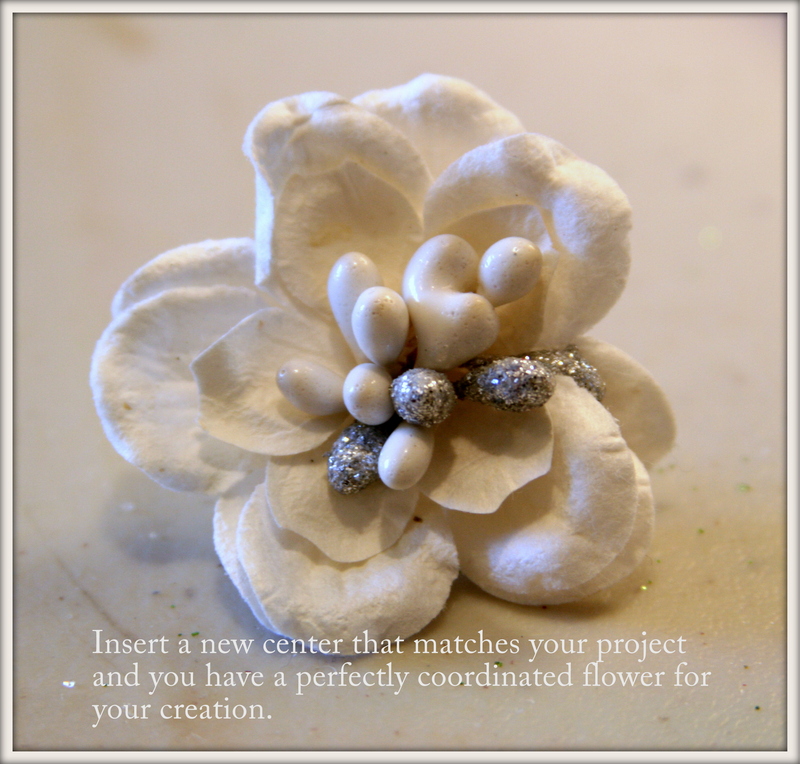 For this months theme we are challenged to create a mixed media project…something that can be used as home decor. I am so lucky to have a sneak peek of the projects and they are gonna knock your socks off. I have used the images and papers to create a digital collage which I framed to create a wipe or dry erase board. I had one before but the kiddos were just using it to leave me grocery lists ugg. This time it’s only to be used for nice notes and I love you’s. 1. Start with a dry erase marker. 2. wrap marker in coordinating ribbon (be careful to place this so it will not be difficult to write with.) 3. Good ol Velcro to attach the pen to the frame. 4. attach small section of Velcro to ribbon on pen. 5. 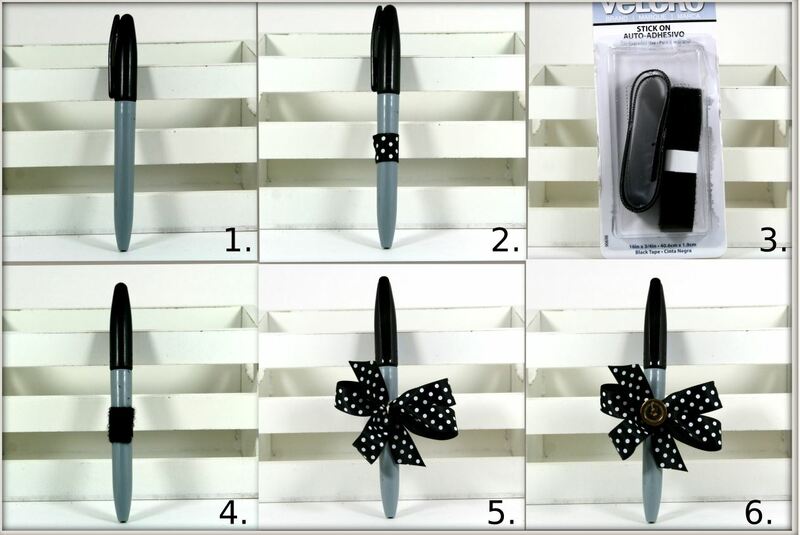 With hot glue carefully add a loopy ribbon bow to opposite side of pen. 6. Top bow off with button. 1. Store bought 8×10 frame. 2. Add digital collage inside the frame. 3. Attach pen to frame with Velcro. 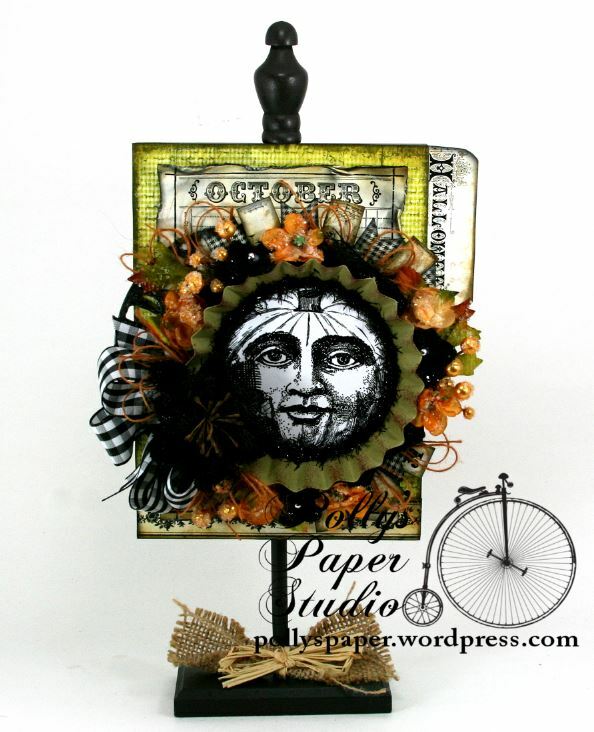 $.99 Papers~Butterfly Fairies, Letter Press Journal. 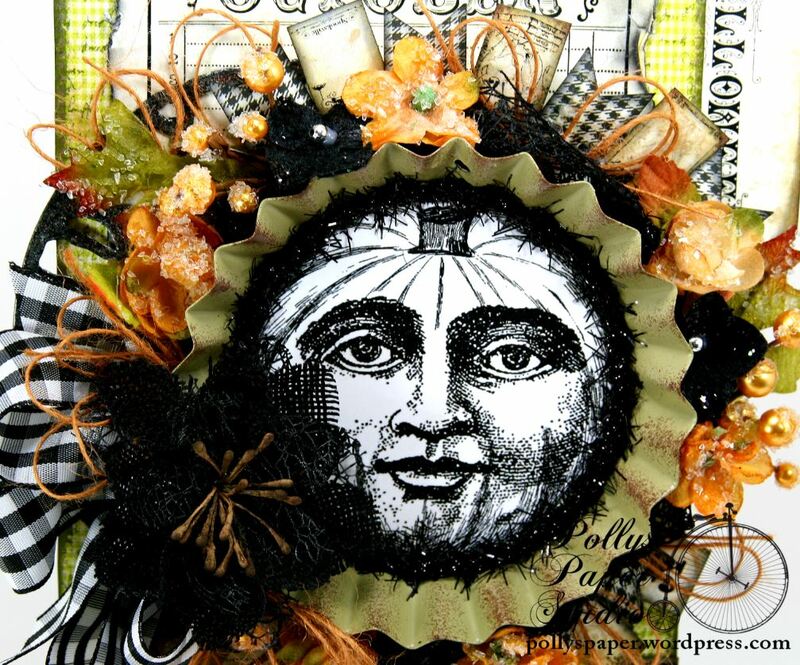 Vintage images from Creating with Vintage Patterns CD. 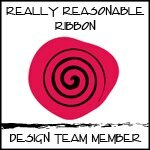 Really Reasonable Ribbon: Satin Swiss Dots on Black. I encourage you to check out the other fabulous projects from the team..they are too awesome! 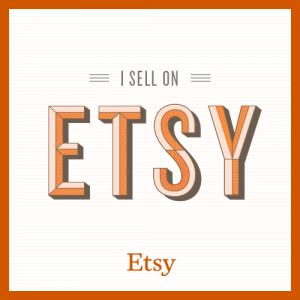 Just visit Crafty Secrets Heartwarming Vintage for the link list!